It is hard to believe many readers have not heard of the Agile approach to development. This methodology is a hot approach, and all of the players are in demand. Of these roles, the most in-demand appears to be the scrum master. The challenge in filling this role is often figuring out what sort of skills are best for it. Is it a technical role? A manager? An analyst? Let’s look at what the responsibilities are and then the skills a good scrum master should have. When you break down the role, it becomes easier to find matching skills. Therefore, we will start with the typical duties of a scrum master. Note that these are not universal, but part of the variance in requirements comes from a lack of understanding of the role. There are other facets of the scrum master role. However, these are the high-level tasks of one that will be highly successful. Note that some requirements are technical, some you would find with a Business Analyst (BA), and some management. This is not a common combination. You cannot just pull out a developer or assign a BA or assign the role to a manager. The scrum master needs to be able to wear each of these hats without being too heavy-handed while wearing those hats. For example, a strong scrum master will drive the team to make aggressive but reasonable choices for the tasks in a sprint. However, they will ensure the team has buy-in for those choices as well. Ideally, they lead without being seen as a leader, more as a facilitator. This role can help with design and architecture discussions but should not be the one that dictates solutions or approaches. They need to be technically skilled enough to understand the details of what is being implemented and communicate concerns to business owners or technical architects. Are you worried yet? The best scrum masters I have worked with are not new to the SDLC. They have worked on good and bad projects in the past. There is also a broad range of team sizes they have worked with. Typically, the experience as a developer is at least five years with some experience as a lead and architect as well. They also need to have experience in gathering requirements and working with BAs. In general, they should be a well-rounded developer or technical BA that is ready to step away from a role that involves mostly coding on a daily basis. This last point may be the hardest hurdle to overcome. Developers that have progressed to the desired level for a scrum master are often going to be ready to move into a technical leadership or architect role. The technical BAs are positioned for management or product owner roles. This leaves you with people that may be perfect for the part, but they are not interested in it. It may be seen as a step-down. In reality, the salary expectations may be an actual step-down. Now that we have looked at what sort of skill set works best we can start to describe the kind of person that will work best. This also can help you set salary expectations for the role. First, some scrum master positions do not require a full-time focus on those responsibilities. I have found that you can often run a team in around twenty hours a week, maybe a little less. That makes a scrum master a part-time position. Therefore, you can add responsibilities to “sweeten” the post for more senior staff. You can also work in tasks for the scrum master that allows them to continue to advance their career. 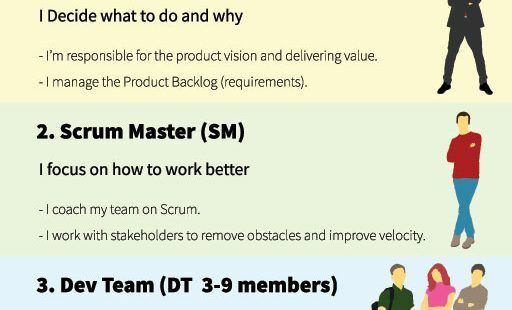 Even with these options, your best scrum master is going to be one with six to ten years of experience in development teams and multiple roles. That puts your salary band in the neighborhood of an upper mid to lower senior level developer. I often find this to be close to project manager salaries. If you go lower, then you will struggle to find someone with the technical and leadership chops to handle the position. If you shoot too high, then you will be wasting an expensive skill set on the scrum master role or put someone in that position that is too intimidating to allow the team to make their own decisions. Do not shy away from adding in additional work for the candidate that will enable them to “earn” a higher salary or sweetens the position with work they want to pursue. In the end, a scrum master is a difficult position to fill but not impossible. Do not be confused by the title or “agile” label. Stick to the job requirements and you will be able to find a good fit without searching for a purple unicorn.